In 2017, Stirling Labour published a Stirling manifesto which contained a series of commitments that would be pursued by Labour Councillors if elected. Over the last year the Labour Group of Stirling Councillors have shown what a seat around the table and a great deal of hard work can do to deliver Labour commitments that work for the many, not the few. Here is the first of a new regular series of articles on how your Labour Councillors are delivering on promises for Stirling. Our manifesto committed us to “ensure tenants are always put first and that landlords live up to their obligations”. That’s why Cllr Danny Gibson has led on moves to investigate the need for a rent pressure zone in Stirling, saying “landlords who don’t want to live up to their responsibilities with repairs, or squeeze as much out of people’s pockets as they can, should take note that we’re watching them and we will ensure that tenants are treated fairly now and in the future”. In “jobs and economy”, we promised to “lead the way by ensuring Stirling Council sets the standard we want all organisations to aspire to”. That’s why this month your Labour Councillors have set a “gold standard” in paternity pay for council employers and adopted Unison’s “Apprenticeship Charter” to ensure our young people have key rights and their managers key responsibility in ensuring we are developing a workforce with the skills we need now and in the future. We’ve also ensured that the Living Wage at Stirling Council is set higher than the Living Wage Foundation recommends. 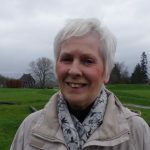 We have a lot still to do here, but this month Cllr Margaret Brisley ensured that nearly 1500 children will benefit from a significant rise in a key Stirling Council poverty fund. The clothing and footwear grant will rise from £50 to £130 per child, which research suggests is the cost faced by parents ahead of a new school. Labour Cllr Chris Kane has set up and chaired a Short Life Working Group looking at ways the council can tackle the appalling tragedy that is the Tories’ “Universal Credit”. His report will be presented at a full meeting of Stirling Council next week, but has already delivered on a key recommendation to help tackle digital poverty with a £200,000 investment in digital support across the council’s libraries. The Labour Group continue to ensure that the council work in partnership with organisations such as the Citizens Advice Bureau to help our citizens deal with universal credit, which Chris says is “fundamentally flawed and devastating to the most vulnerable people in our communities”. We promised to “invest in new equipment for play parks”. Earlier on this month, the Partnership Administration announced a £250,000 boost for play parks which will see new equipment installed across 22 parks in the seven wards that make up the council area. We said we would commit to making Stirling a dementia friendly city and district. That’s why we highlighted that it took 382 days for SNP Ministers to agree with their own appeals panel NOT to allow building on Airthrey Kerse, and why we highlighted that Scottish Government Ministers have decided to make the final decision on whether to overturn Stirling Council’s decision to not build more houses on the Bannockburn Battlefield. Your Labour Councillors will always stand up for STIRLING and its many communities. Your Labour Councillors will never shy away from putting pressure on the SNP Government, as they demonstrated with their condemnation of the SNP spin on this year’s budget offer to Scottish Local Authorities. They’ll also continue to put pressure on the Tory Government on issues including Universal Credit and their uncaring attitude to communities affected by RBS closures. We’ll also call out government measures, both at Holyrood and Westminster, if they make delivering our local manifesto more difficult – as we did when the SNP Government’s published a draft transport bill that undermined our ambition to deliver a community owned public transport company. Your Labour Councillors have a great deal of work still to do in the coming years, but we stand by our manifesto and will strive to implement as much of it as possible during the current Administration at Stirling Council. We’ll continue to deliver regular updates on our progress on this website. Want to join us? 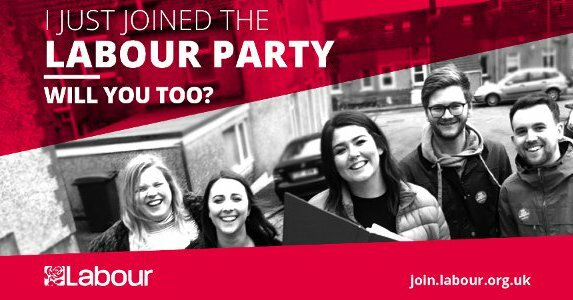 Click here to join Labour and help create a world that works for the many, not the few. The SNP Government’s recent draft transport bill will leave the profits of bus operators in the hands of private companies and let them cherry pick the best routes, while abandoning the loss-making lifeline services and forcing Local Authorities to pick up the pieces. In its current form, the bill would only allow local authorities to run bus services in very restricted circumstances where there is no private provider and the legislation would not allow any public sector bids for bus franchises. We will commit to the creation of a municipal public transport company to provide public transport. Community priorities, not commercial priorities, should determine where and when public transport operates. Labour’s Finance & Economy spokesperson, Cllr Margaret Brisley has voted to introduce Unison’s “Apprenticeship Charter” at Stirling Council. At a recent meeting of the Finance & Economy Committee, which Margaret chairs, the charter was proposed and adopted as council policy immediately. The Charter details the rights of apprentices and the responsibilities of their managers and the council. Among the rights afforded to Apprentices are the right to a contract, the right to an interview for a vacant post when their apprenticeship finishes and the right to join and participate in the Trade Union of their choice. Among the responsibilities placed on their managers are to ensure the quality of the training builds the skills to lead to a real job, to recognise that apprenticeships are investing in “future labour” not “cheap labour”, and to encourage and celebrate apprentices. Stirling Council currently employs 91 apprentices, with a further 115 employees undertaking professional learning towards the next stage in their careers (such as probationer teachers). Training is provided by local accredited providers such as Forth Valley College. Already Stirling Council engages apprentices under a contract of employment and pays a higher rate compared to the national minimum wage. Modern Apprentices start on an hourly rate of £7.14 compared to the national minimum wage of £5.90. Age 16 Craft Apprentices start on £5.86, compared to the national minimum wage of £3.70 and once they have passed the trade test, their hourly rate increases to £11.13 per hour. The Tory Government’s shambolic and cruel “Universal Credit” benefit has been slated by public spending watchdog The National Audit Office. In a report published on Friday 15 June, the NAO says that Universal Credit cannot prove it helps more people into work, does not deliver value for money and will probably end up costing more than the benefit system it replaces. The report paints a damning picture of Universal Credit and the Department of Work and Pensions, saying they are defensive, insensitive and dismissive of the pleas from welfare advisors and those directly affected by the roll out of the benefit. 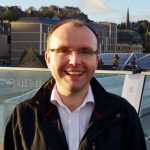 For the last few months Chris has chaired a Short Life Working Group on Stirling Council which has been investigating how the Universal Credit rollout has impacted on Stirling citizens and council tenants. The report is due to be published next week ahead of being reported to the full meeting of Stirling Council on 28th June. If you are affected by Universal Credit, you can seek advice at various drop in events at Stirling Council libraries, by contacting the Stirling Citizens Advice Bureau, or if you are a Stirling Council tenant, by contacting Housing Services. We will work tirelessly to create good jobs, warm homes, caring communities and excellent education opportunities for all. Stirling’s tourism sector got a boost today with the official opening of Travelodge’s new £6 million pound hotel. Stirling Provost Christine Simpson cut the ribbon at the hotel, which is built on the site of the former Rainbow Slides a stone’s throw from Stirling’s Railway Station. Travelodge’s investment in Stirling comes some thirty years after they opened their first Scottish hotel at Stirling’s Motorway Services. We will promote Stirling to employers around the world and help them to locate in Stirling. Nearly 1500 children across Stirling are set to benefit from a Labour Councillor’s work on a key Stirling Council poverty fund. From August, children will be eligible for £130 School Clothing and Footwear grant – which research suggests is the cost faced by parents ahead of a new school year. Stirling Council has a statutory responsibility to help children from families who need financial support with footwear and clothing for school. COSLA recently agreed to a Scottish Government proposal to fund a national minimum contribution of £100 per child. A report to Stirling’s Finance & Economy committee this week recommended this amount be adopted immediately, with £50 coming from the Scottish Government and £50 from Stirling Council. However, Labour’s Economy spokesperson Margaret Brisley, tabled an amendment calling for the amount to rise to £130 per child. Margaret’s amendment was accepted, meaning those families who need it will receive the funding in time to prepare for the school year starting in August. Last year Stirling Council gave 1499 children across the district footwear and clothing grants. 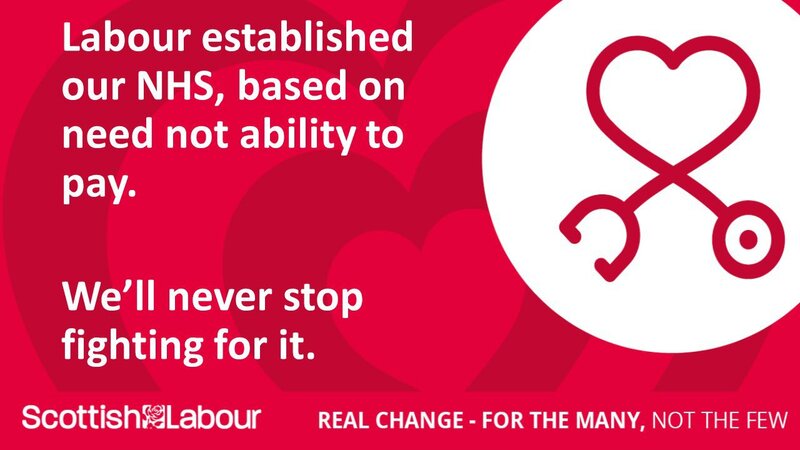 Labour’s proposal to set the amount at £130 per child is expected cost £44,970 per year. we will poverty proof the school day, ensuring every child has the support they need to learn. **Update 14/06/18 – the motion was carried at the meeting of the Finance and Economy Committee and will become Council policy. In 2012, Labour ensured that Stirling Council was one of the first in Scotland to pay its staff the Living Wage. In 2015, Labour ensured that Stirling Council set standards again by becoming an Accredited Living Wage Employer. In 2018, Labour will again lead the way by voting for Stirling Council to introduce one of the most family friendly paternity leave standards in Scotland. Currently staff are entitled to one week on full pay and one week on statutory paternity pay, which is currently £145.18. Currently, almost a third of eligible council employees don’t take the second week, with many citing financial pressures as their reason for returning to work. 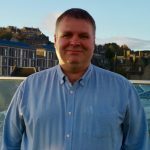 Stirling Labour Councillors welcome first moves towards possible rent pressure zone for Stirling City Centre. Stirling Council have approved plans to begin to gather evidence on the need for a rent pressure zone in Stirling City Centre. The Private Housing (Tenancies) (Scotland) Act 2016 introduced the new Private Residential tenancy for all new tenancies created after 1 December 2017. The Act included a new provision for a local authority to make application to Scottish Ministers for the designation of Rent Pressure Zones. Rent Pressure Zones may be necessary if rents begin to rise to fast and to far in any given community, causing undue hardship to tenants. Scottish Labour has made reforming housing a priority and recently unveiled plans for a “Mary Barbour” law, which would limit rent rises with a link to wages and ensure that they are affordable, as well as ensure that all private rented properties meet proper standards for health, safety and energy efficiency. We will ensure tenants are always put first and that landlords live up to their obligations.